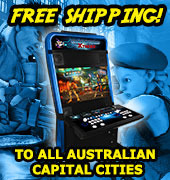 Our range of monitors and chassis for sale in Australia is great for those wanting to upgrade their cabinets or arcade machines! We have a variety of monitors and chassis for customers to select from. Products include CRT (CGA/EGA/VGA) monitors in a variety of different sizes - including dual resolution monitors, flat screen monitors and curved screen monitors. We also stock the latest LCD monitors, arcade chassis boards and much more! 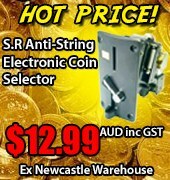 We can ship all over Australia, and if we don’t have the monitor or chassis you’re looking for, we will do our best to find it for you. For instance, if you’re looking for a particular brand monitor, but cannot see it on our list, then please send us an inquiry and we will try to find it for you.